Last night, I watched Inside Llewyn Davis at Wealthy Theatre, here in Grand Rapids. It's an old theatre. A bar down the street, The Meanwhile, hosts movies there every week. They've been on a Cohen Brothers kick. Inside Llewyn Davis is one of my favorite movies. 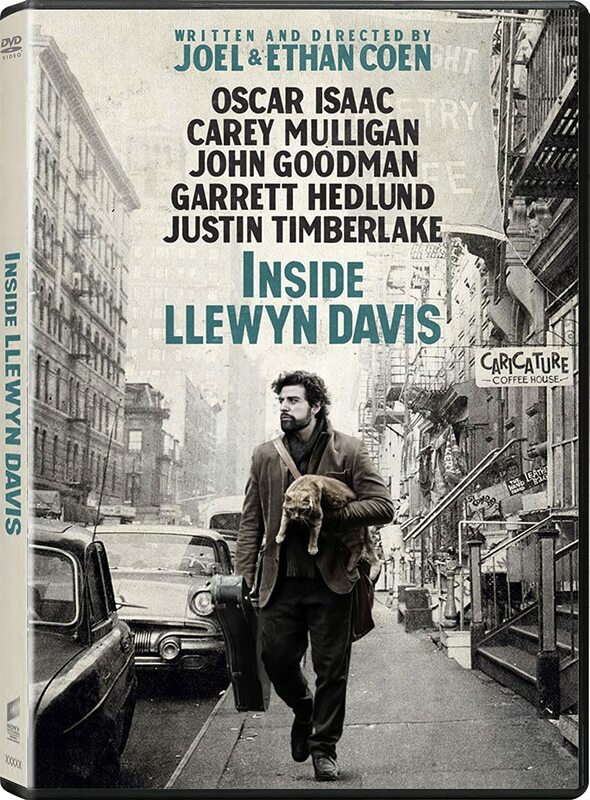 It follows Llewyn Davis, who's just put out a new album, "Inside Llewyn Davis". Prior to his album, he'd been part of a duet, but his partner committed suicide, leaving Llewyn to discover who and what he is. The film starts out with a shot of Llewyn, playing one of his ballads. He's good. After he finishes the song, the viewer sees Llewyn apologize for the previous evening's misdeeds. The film then goes back in time, providing a view of the life of Llewyn Davis. Llewyn is based upon the folk singer, Dave Van Ronk. Dave has been called The Mayor of MacDougal Street. He was around the folk scene in New York in the early 60's, which is a great time to be there. But for some reason, Dave never quite made it big. While the viewer may have their assumptions about Dave, you see Llewyn constantly making choices that you know are not going end well. You find yourself liking Llewyn, rooting for him, and wish you could tell him simply to stay the course, make better decisions, and follow his path. But you also wish you could give him a bit of life advice. Like, you wish you get through to Llewyn, perhaps coach him through a few things that would undoubtedly improve his life. You see him make bad choice after bad choice, where a slight deviation would make everything better. You give him a pass because he is grieving, but you also want to tell him to wake up. Llewyn is only truly comfortable when singing on stage, though even there he has a slightly defeatist attitude. It's as if believes no one likes his songs enough. At the end of the movie, which is back at the beginning, Llewyn gets called into the alley to meet a 'friend'. As he goes to the alley, a young Bob Dylan takes the stage, playing one of his early songs. The difference is immediately apparent. It's obvious Dylan has some unnameable quality that Llewyn doesn't have. If you could name that quality, it would lessen it somehow. If we knew what that quality was, it would be more critique than art. The movie speaks to me so much, because the art of Llewyn and the art of Dylan are - arguably - just as good. Based upon what we heard from Llewyn (maybe six songs), and what we heard from Dylan (part of one song), there isn't a distinguishing factor between them. If the viewer is the judge, the difference would be life choices. Llewyn allows his life to get in the way of his art. Dylan does not. Llewyn allows whatever his current struggle - of which there are many - to define his life. His art almost comes second. It's as if he's half-assedly pursuing what you know is his dream. You cheer for the next step that is never taken. I can relate to Llewyn. I can relate to the fatigue of the daily, especially as it impacts your dream. You have something you know you should be doing, but you can't quite get there. Seeing this on screen is very impactful. I root for Llewyn. I cheer him on. I cheer myself on. I cheer all of us Llewyns on. I cheer us make a change, and make a vow to not let the mundane get in the way of our dreams.